Whenever I come across the photo above, I always stop to stare. 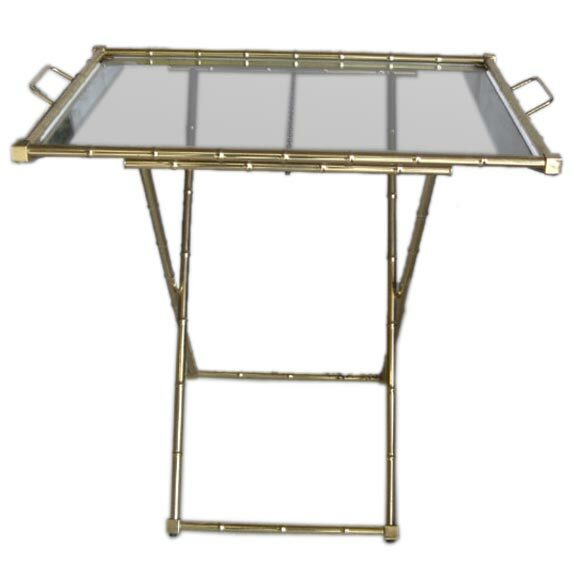 It's such a stylish room, one in which the individual pieces are supremely chic. But, taken as a whole, these pieces become chic-ly supreme. The vignette shows the now-classic mix of refined antiques placed alongside contemporary pieces. My only complaint is that the photo is in black and white. I would love to see the color of the fabrics used, although perhaps the fabrics were no-color colors. What's interesting is that this photo appeared in an Estée Lauder Youth-Dew Home Fragrance ad from 1966. Do you think this vignette was shot in Lauder's own Manhattan home or simply created on set? Estée Lauder had great taste, so I would like to think that this was her living room. Even if it's not, though, the fact that Lauder and her associates selected this photo for a home fragrance ad just goes to show their style and savvy. And I truly think that if this photo appeared in, say, an ad for Aerin Lauder's new line, it would look just as chic today as it did 46 years ago! 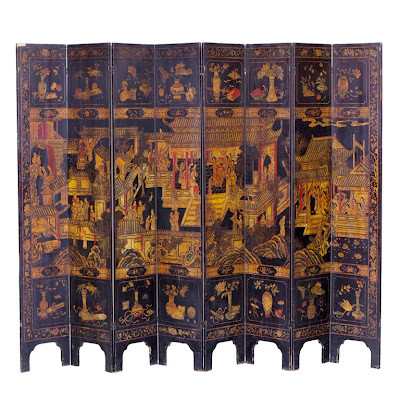 The most striking piece of furniture in the photo is the eight panel Coromandel screen. 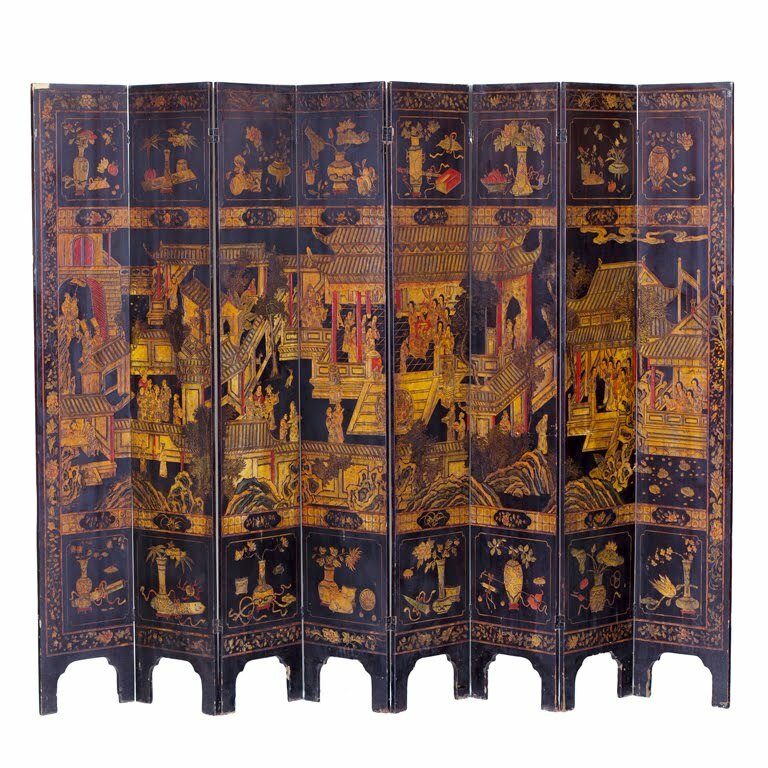 The one above is 19th c. Chinese and is available through Antique & Art Exchange. There were two Louis XV style cane chairs used in the ad. (One of them got cropped out of my scanned photo.) 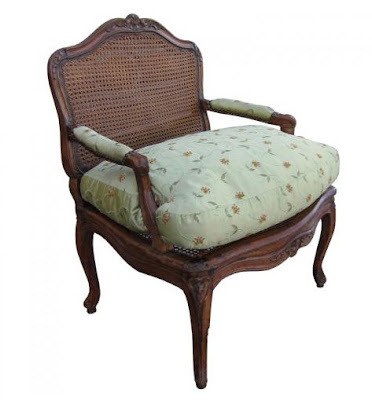 For a similar style chair, Parc Monceau has this 19th c. version available for sale. Also made of cane was the room's settee. I suspect the cushions were made of silk, with the leopard throw pillows perhaps being made of velvet? 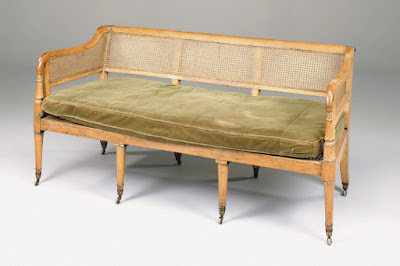 I found a similar settee, above, that is Regency style. It's not quite as delicate as the version in the Lauder ad, but you get the drift. 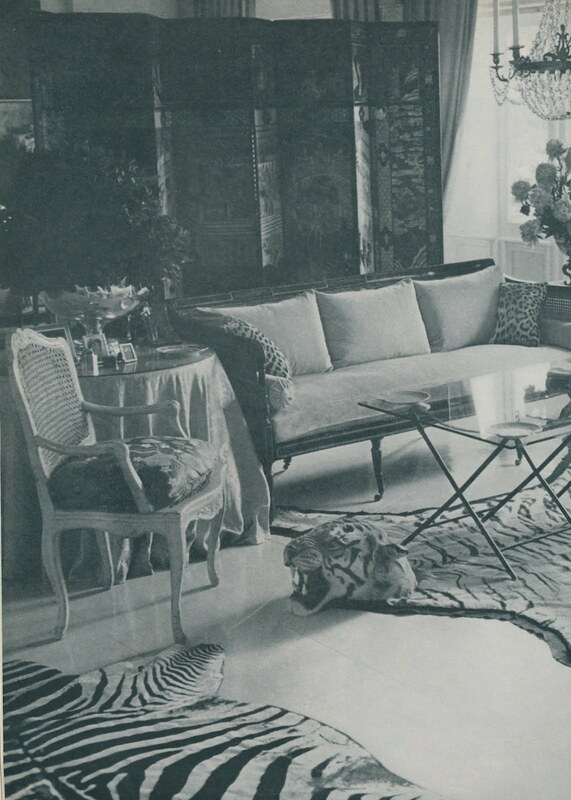 The zebra rug in the photo appears to be real. The version above, now sold but once available through Dragonette, could be used in lieu of the real thing. 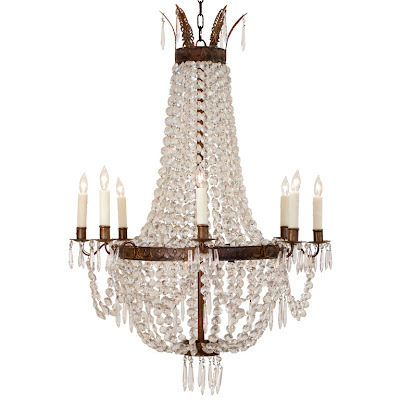 A crystal chandelier hung to one side of the vignette, something which makes me wonder if this vignette was staged. This French Empire chandelier, above, is positively dripping in crystal. 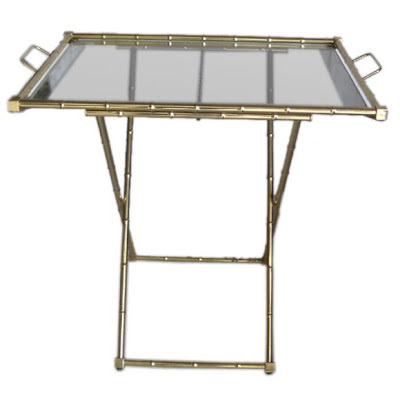 I realize that the cocktail table in the photo is much larger than this small Bagues folding table, but I'm including the Bagues version simply because I think it's so attractive. 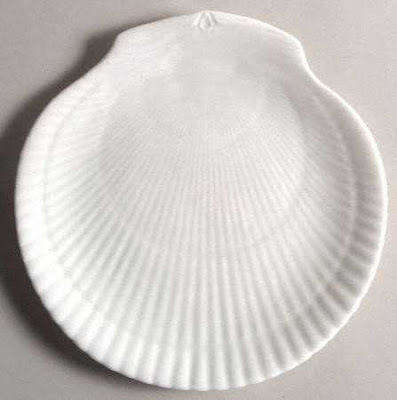 It's hard to see in the scan, but a porcelain shell dish, presumably an ashtray, was placed at each corner of the cocktail table. Wedgwood's classic Nautilus pattern, above, looks similar to those in the photo. If the photo was taken in the Lauder's Marion Sims Wyeth-designed house in Palm Beach, it was styled for the shoot. Mrs. Lauder's personal taste in interior design was notably darker. The architecture does not match her stately Manhattan townhouse nor her impressive home in Wainscot, Long Island. So that's why the Palm Beach house was given the benefit of the doubt as the potential location. In the 80s, the flagship Bloomingdale's store pumped out a continuous mist of Youth Dew to those coming through the Lexington Avenue entrances. Eventually, legal action prevented the Estee Lauder models from actually spritzing the individuals who passed as they said "A free gift for you today from Estee Lauder". Devoted, You very well may be right. The painted floor might also be an indication of a seaside retreat. I'll do a little digging around and let you know if I'm able to confirm it. Great idea! 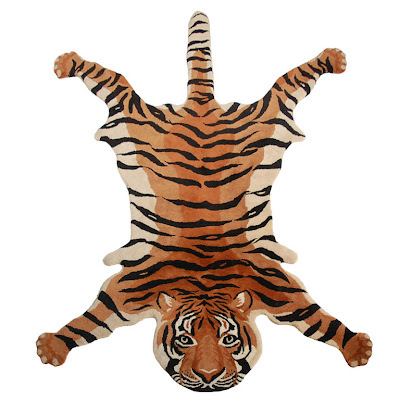 If I had the rug in the photo, I'd be afraid of tripping over the head. Hi Frances, Youth Dew sure is still available! You can look at the range on the Estee Lauder website. Wonder if you can buy it at King's drug store? Yes, it does seem rather current for 1966! I was recently in a house where they had real tiger rugs in the library and it was a bit jarring and scary walking into a room with a big animal head laying on the floor! Not to mention a tripping hazard. I Love the way you presented the room, told us about it, and then showed us current options. That is one reason I love to look at the older designer books, such as Billy Baldwin's books - icons of design that he established are still great today, in an updated setting! Thank you!